Andy Davies (BA of Music – Jazz Studies, Sydney Conservatorium of Music/ Certificate of Contemporary Music AIM) has over ten years teaching experience educating young aspiring drummers from primary through to tertiary level. 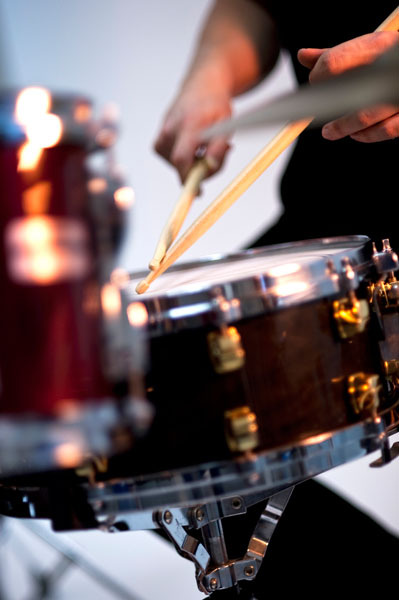 One of the most in demand drumming teachers on Sydney’s north shore, Andy has an excellent reputation for coaching various styles of music and drumming technique, from jazz through to pop and rock. His teaching PHILOSOPHY is underpinned by a willingness to impart progressive drumming techniques whilst building a strong core foundation. This inspires students to appreciate and grasp varying methods of playing. Regular practice is encouraged together with frequent listening to a wide variety of musical styles to allow the student to develop and explore their key areas of interest whilst developing the knowledge needed to be a working musician. Andy’s teaching principles are in alignment with the Department of Education’s HSC music syllabus as well as guidelines for AMEB Contemporary Popular Music Course. Andy has mentored numerous drumming students to date, many of whom have completed tertiary music degrees and established professional music careers.